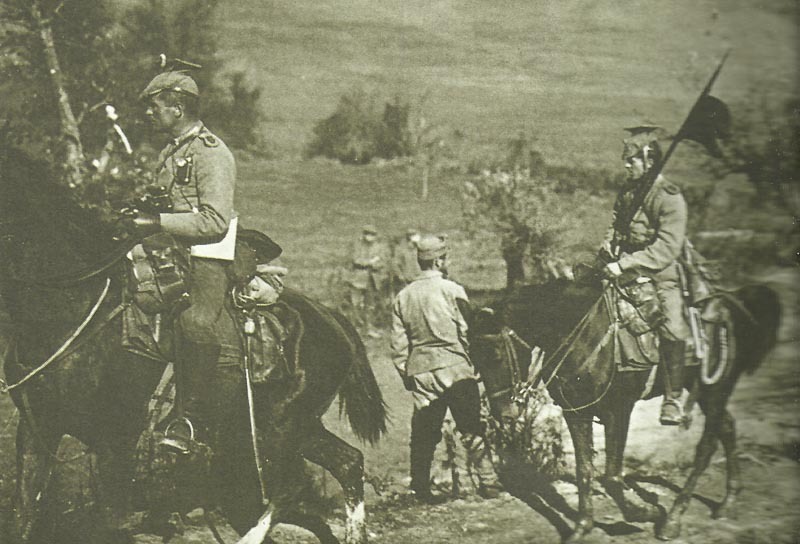 Advance of German cavalry into Serbia. Serbia: German III Corps (Lochow) takes Semendria (October 10­-11) on Danube after losing 45 of 53 boats (night October 7-8) but securing bridgehead to east and unaffected by Royal Navy torpedo tubes (damaged by shelling). Artois: Slight French gains in Souchez valley; Givenchy­-en-Gohelle Wood and near La Folie. Champagne: Slight French gains until October 12. Western Russia: Russians forced back northwest of Dvinsk and southwest of Pinsk, take Garbunovka (9 miles from Dvinsk on October 19). Gallipoli: MEF strength 114,087; establishment 200,540 soldiers against 17 Turk divisions. Western Front: 6 Royal Flying Corps crews encounter Fokker E fighters. Greece: Government refuses Serbia’s appeal for help; Bucharest Treaty from 1913 should be irrelevant. Russia: Lenin letter, ‘News from Russia testifies to the growing revolutionary mood’.